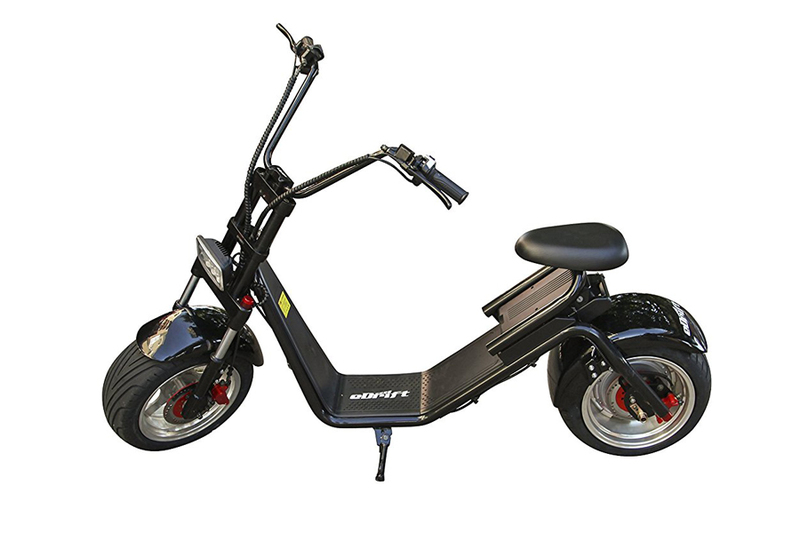 The eDrift uh-e51 City Scooter is specifically designed to help you navigate busy streets and tight sidewalks. Imagine snaking through snarled traffic without having to worry about the time. Late for your appointment? What if parking is no longer a problem? Finding an available parking spot is now a breeze! And we aren’t just talking about car bays. The designers of the eDrift uh-e51 City Electric Scooter designed this model with you and your apartment hallway in mind. This moped has got everything you want in a portable, sturdy and stylish ride. With a 440-lb weight capacity, the eDrift uh-e51 City Scooter can cruise to speeds of above 30 mph on level ground. Features include a climbing ability with a grade of up to 18 degrees, a 1000 watt brushless hub motor, a fast-charging 60 volt 12 amp battery and a range of 40 miles on just a single charge. 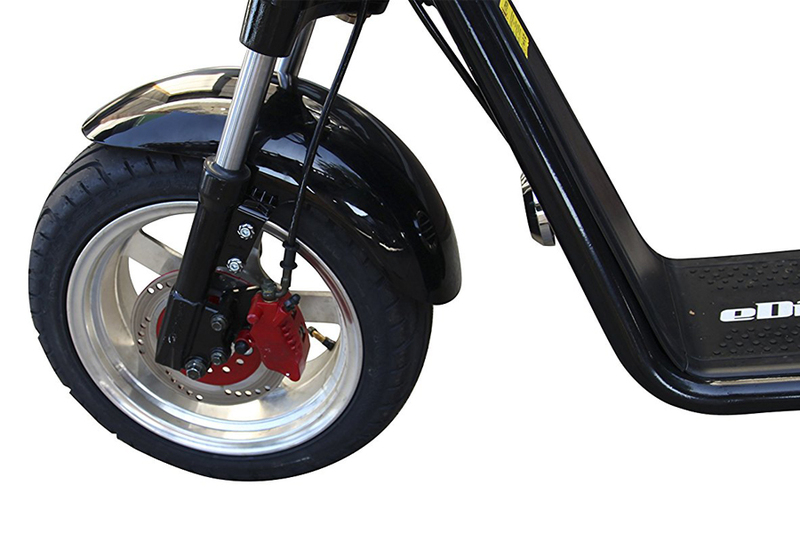 The wheels on this model are made from a lightweight but sturdy aluminum alloy and contain hydraulic brakes. 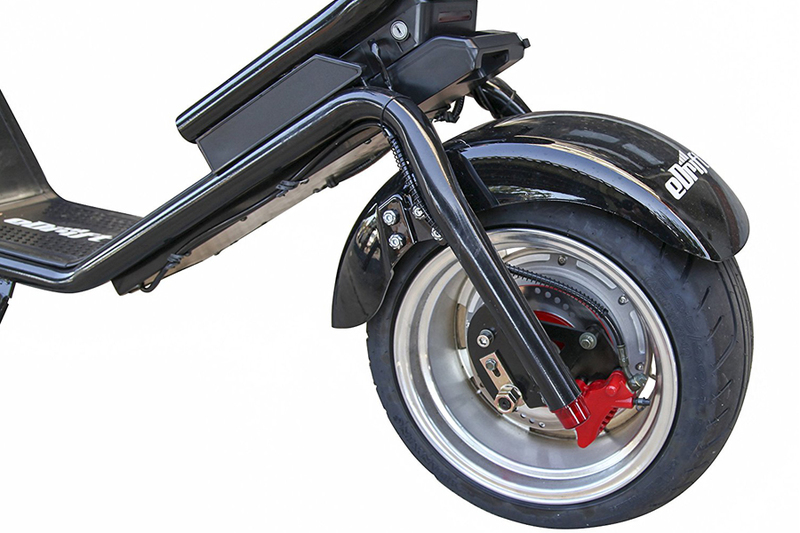 The frame of the UH-E51 electric scooter is made from a seamless tubular steel. Unlike other models, the pneumatic tires of the UH-E51 have a tread pattern that helps you maintain control even on wet, slick pavements. Riders will find the scooter seat exceptionally comfortable because of its padding. 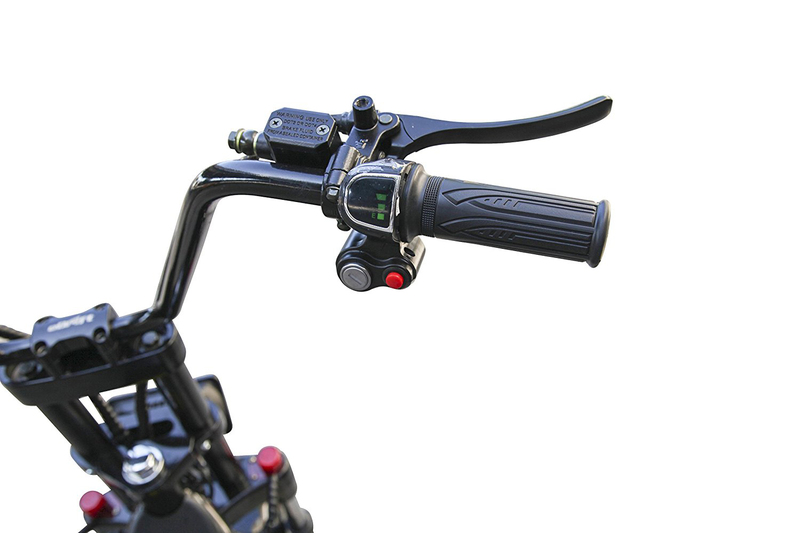 Handlebars are also textured for a sure group. 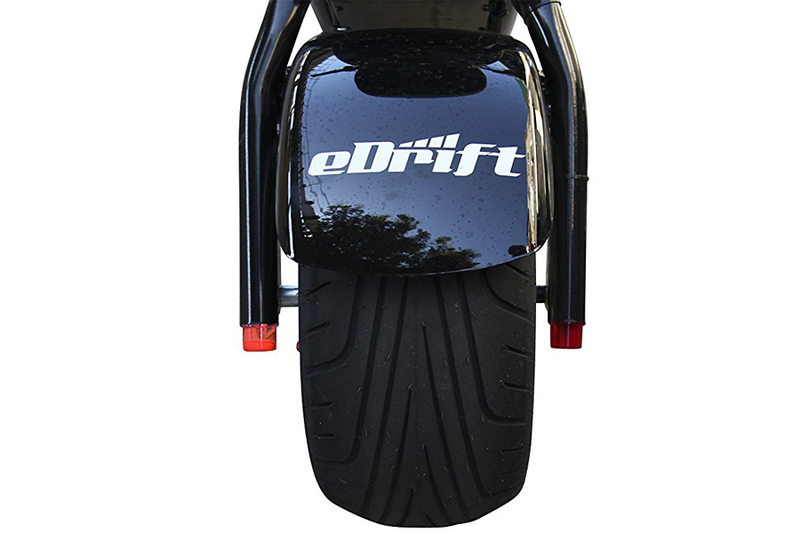 Reviews rave about the eDrift UH-E51’s speed. As it claims, it really is fast and nimble! It’s packed with more than enough power for city streets. Turning sharply and stopping are smooth. You feel the difference when it comes to maneuverability and sudden braking. 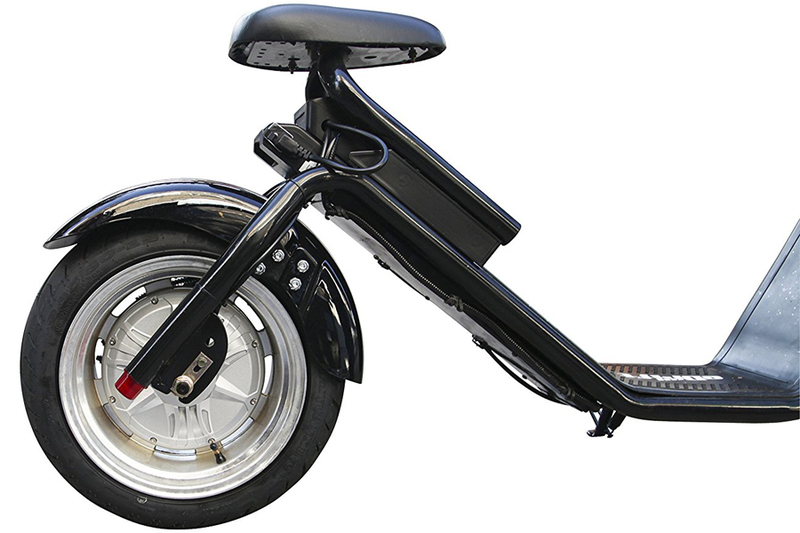 Customers who have purchased the eDrift uh-e51 City Scooter also love the structural integrity of its seamless steel tubular frame. It is rugged but lightweight! Perfect for that daily climb to your apartment! This moped is built for heavy use. The brushless hub motor resists overheating while providing a steady energy output. The lightweight eDrift UH-E51 City Fat Tire Electric Scooter Moped with Shocks is built for to last. 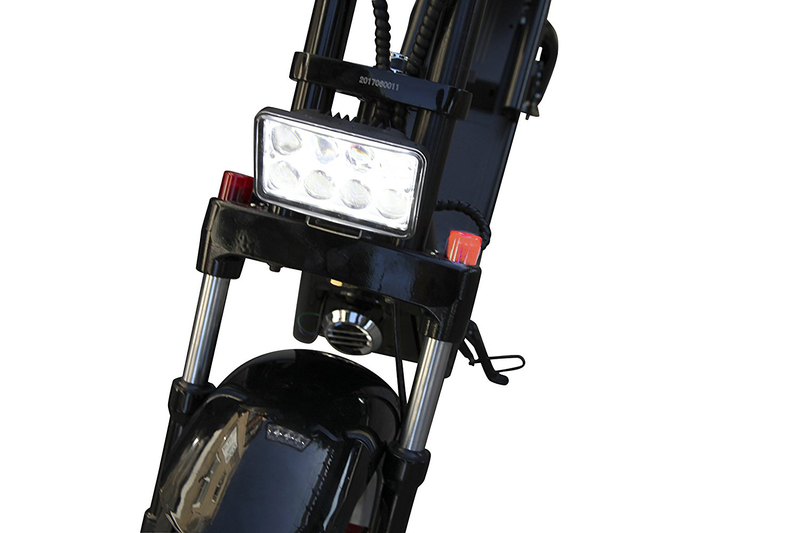 It features a sturdy frame that can withstand rugged use. 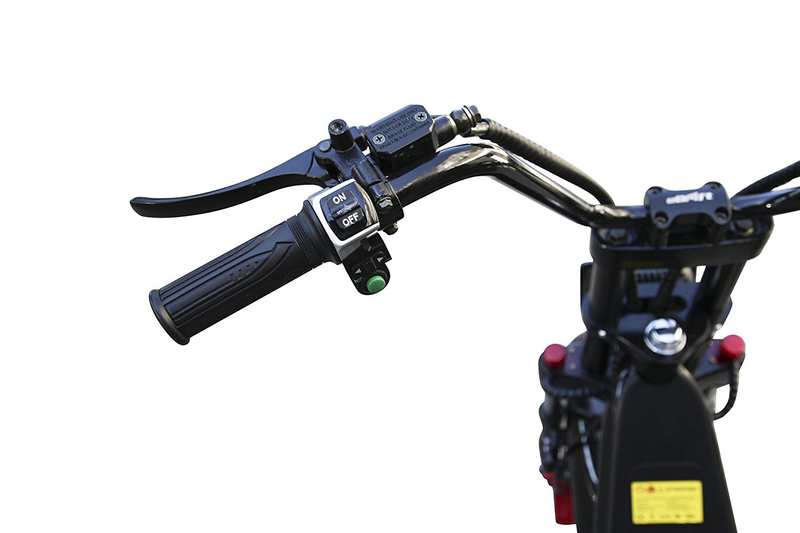 It also possesses great safety and stability features through its front and rear hydraulic brakes.